I have so much goodness to share with you today! 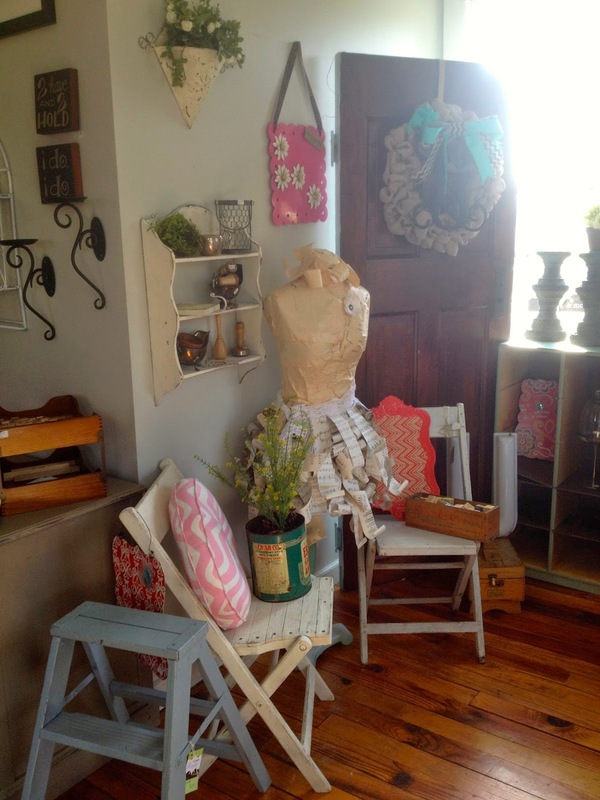 I restyled the shoppe all day yesterday! 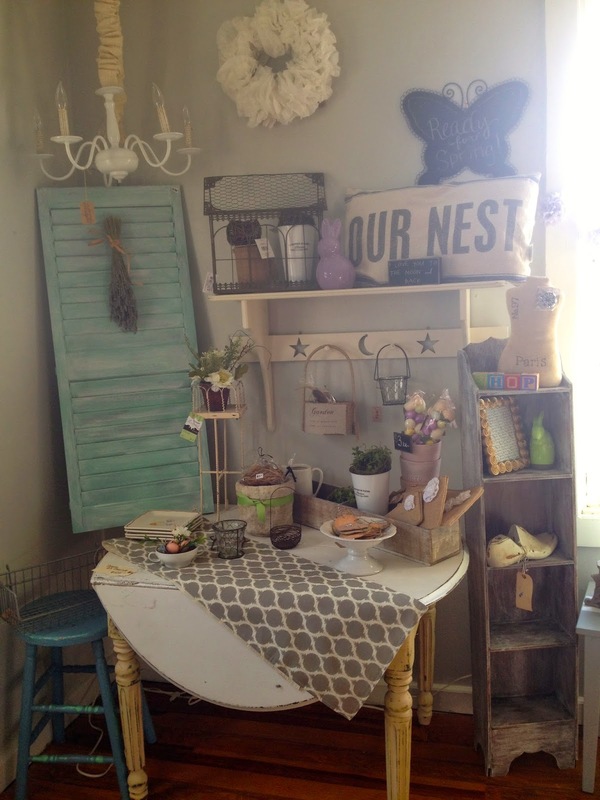 I think I moved just about everything, brought in more fabulous finds and brought in some new goodies. We are open today 11:00 - 4:00 and I hope you'll pop in to check it all out. 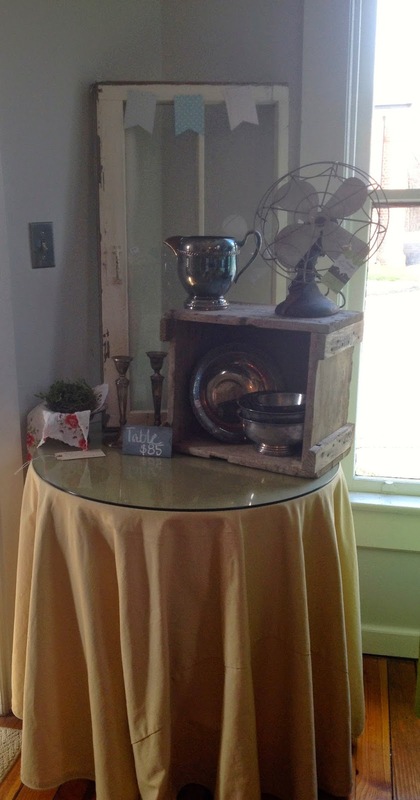 A great shabby coffee table. 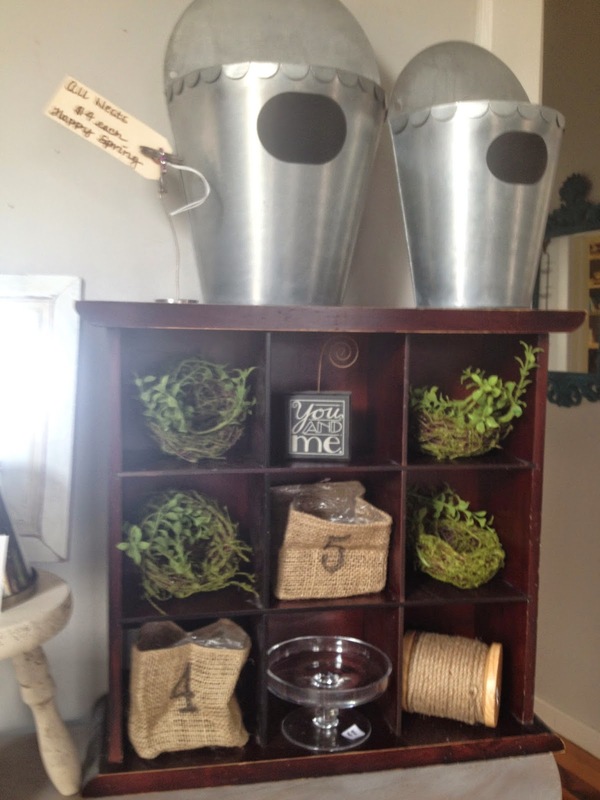 Items for spring and entertaining. Lots of silver in a farm-find crate. The daybed/crib has new pillows - some indoor/outdoor. 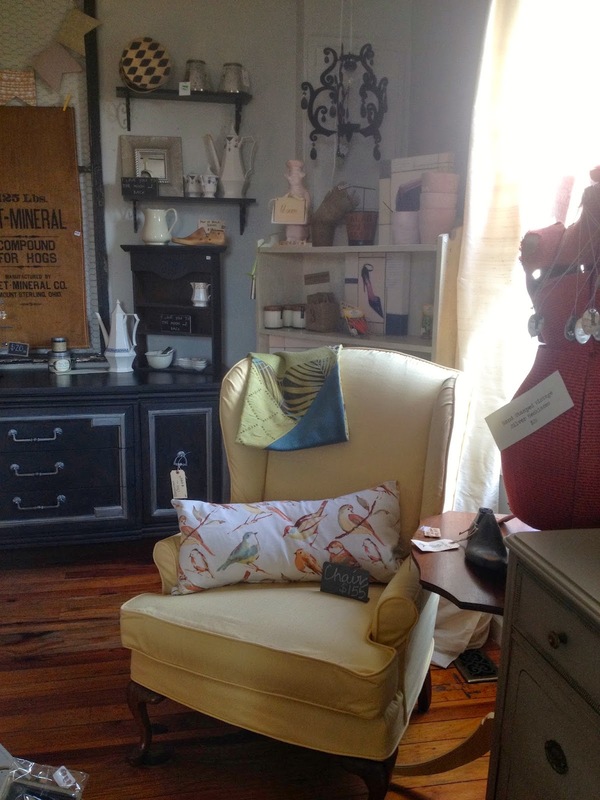 A pair of shabby chairs would be perfect on a porch. An amazing industrial cart is now for sale. 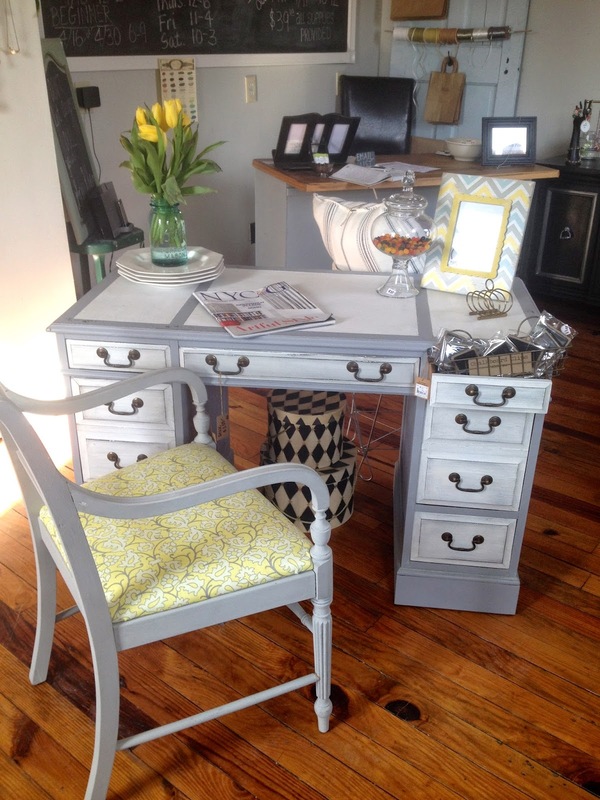 It held lots of Maison Blanche Paint & Products, but that room has also received a makeover. The cart is ah-mazing and would make a perfect bar, inside or out. You all love our nest pillows and we have 1 left. Industrial elements have made their debut. 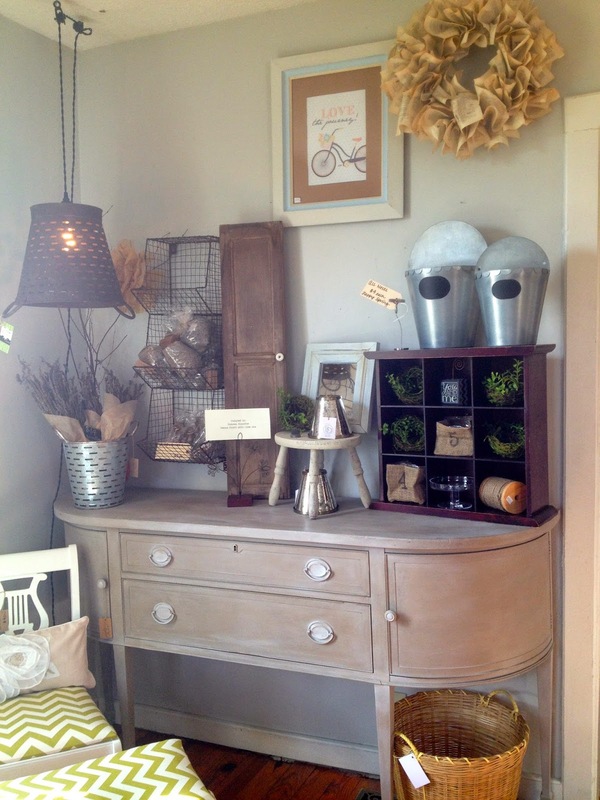 Lots of spring items, more furniture & Maison Blanche Paint arrives today! 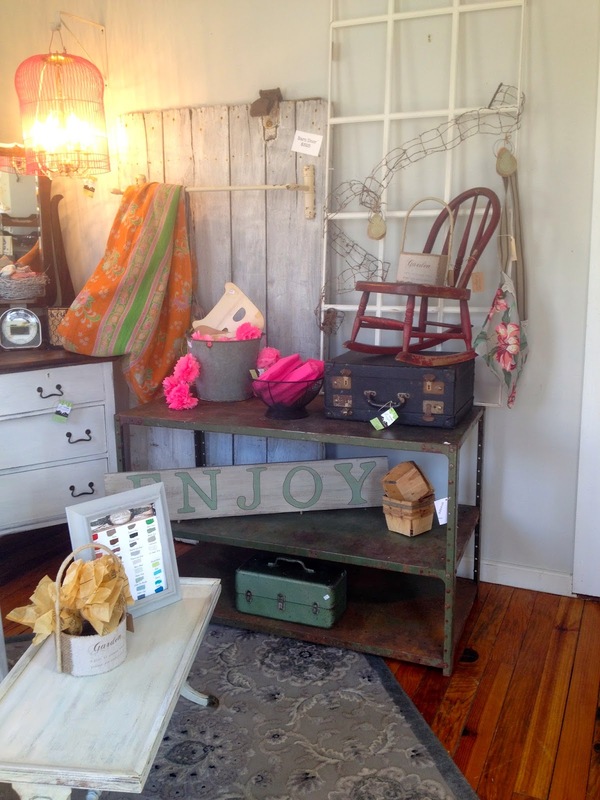 The shoppe is overflowing with goodness.